Income Tax Deductions List FY 2018-19 | How to save Tax for AY '19-20? Budget 2018-19 & the Finance Bill 2018 have been tabled in Parliament. The Income Tax Slab rates have been kept unchanged by the Finance Minister for the Financial Year 2018-19 (Assessment Year 2019-2020). 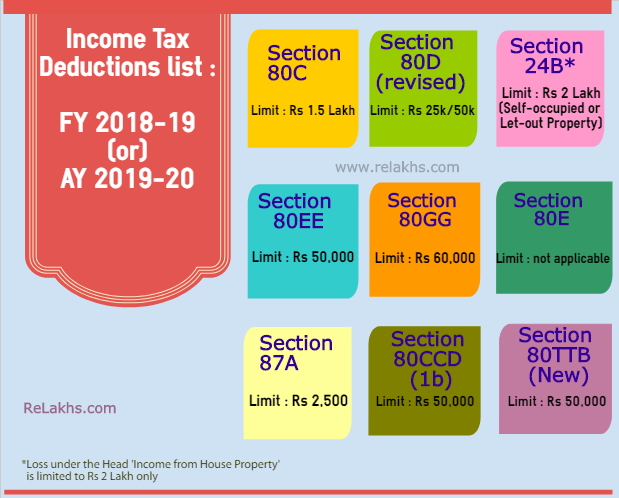 In this post, let us go through the Income Tax Deductions List FY 2018-19, best ways to save taxes and best tax saving options for FY 218-19 / AY 2019-20. I hope you find this list useful and helps in planning your taxes well in advance. As per the previous Budget 2017-18, the self-employed (individual other than the salaried class) can contribute up to 20% of their gross income and the same can be deducted from the taxable income under Section 80CCD (1) of the Income Tax Act, 1961, as against current 10%. Kindly note that the Total Deduction under section 80C, 80CCC and 80CCD(1) together cannot exceed Rs 1,50,000 for the financial year 2018-19. The additional tax deduction of Rs 50,000 u/s 80CCD (1b) is over and above this Rs 1.5 Lakh limit. 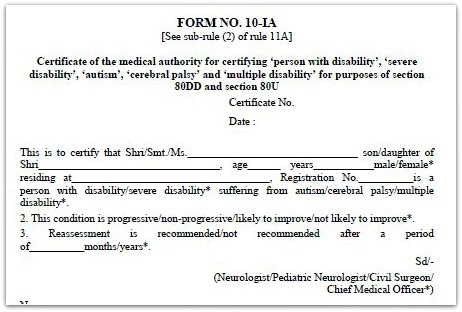 An individual (less than 60 years of age) can claim upto Rs 40,000 for the treatment of specified critical ailments. This can also be claimed on behalf of the dependents. The tax deduction limit under this section for Senior Citizens and very Senior Citizens (above 80 years) has been revised to Rs 1,00,000. Tax rebate of Rs 2,500 for individuals with income of up to Rs 3.5 Lakh has been proposed in Budget 2017-18 and the same will be continued for FY 2018-19 / AY 2019-20 as well. Only Individual Assesses earning net income up to Rs 3.5 lakhs are eligible to enjoy tax rebate u/s 87A. 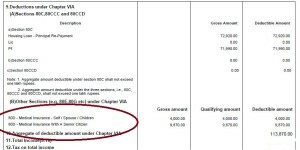 For Example : Suppose your yearly pay comes to Rs 4,50,000 and you claim Rs 1,50,000 u/s 80C. The total net income in your case comes to Rs 3,00,000 which makes you eligible to claim tax rebate of Rs 2,500. The amount of tax rebate u/s 87A is restricted to maximum of Rs 2,500. 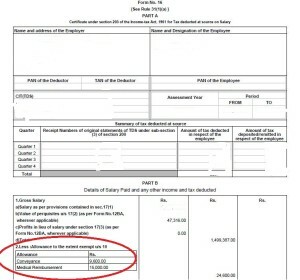 In case the computed tax payable is less than Rs 2,500, say Rs 2,000 the tax rebate shall be limited to that lower amount i.e. Rs 2,000 only. If the above net taxable income happens to be less than Rs 3.5 lakhs then the tax rebate of Rs 2,500 comes in to the picture and should be deducted from the calculated total income tax payable. For Senior Citizens, the Interest income earned on Fixed Deposits & Recurring Deposits (Banks / Post office schemes) will be exempt till Rs 50,000 (FY 2017-18 limit is up to Rs 10,000). This deduction can be claimed under new Section 80TTB. However, no deductions under existing 80TTA can be claimed if 80TTB tax benefit has been claimed (the limit for FY 2017-18 & FY 2018-19 u/s 80TTA is Rs 10,000). For FY 2017–18, the medical allowance of up to Rs 15,000 is exempted income from your Gross salary. To claim this, you need to submit medical bills to your employer and get the allowance benefit. The medical reimbursement allowance is exempted under Section 10 of the Income Tax Act. As per this new proposal, irrespective of amount of taxable salary the assessee will be entitled to get a deduction of Rs.40,000 or taxable salary, whichever is less. Thus suppose if a person has worked for few days (or) months and his salary was just Rs 40,000 for a previous year, then he will be entitled to deduction equal to salary being the same amount. If his salary is less, say Rs 30,000 the deduction shall be restricted to Rs 30,000. If salary exceeds amount of Rs 40,000, the deduction shall be restricted to Rs 40,000. It is prudent to avoid last minute tax planning. Do not invest in low-yielding life insurance polices or in any other financial products just to save taxes. It is better you plan your taxes based on your financial goals at the beginning of the Financial Year itself. Plan your taxes from April 2018 itself, instead of waiting until late December 2018 (or) January 2019. I believe that the above list is useful for your Tax Planning purposes. Kindly note that these Income Tax Exemptions are applicable for financial year 2018-2019 (or Assessment Year 2019-2020). If a property is registered in my wife’s (non working housewife) name and she is co-applicant for loan application with me and i’m fully repaying the home loan from my account. Can I claim IT deductions. As you are not a co-owner of the property, you can not claim tax benefit..
Hi, I am about to complete the deal of purchase of my new first home before 31 March 2019. Then, can I claim stamp duty and registration charges for FY 2018-19 & AY 2019-20. Under which section please guide me. You can claim it u/s 80c..
For claiming stamp duty deduction u/s 80c, you must possess the house also i.e. Payment for under-construction is not allowed. In simple words both payment of expenses and possession of the house must be in the same fiscal year for claiming expenses. 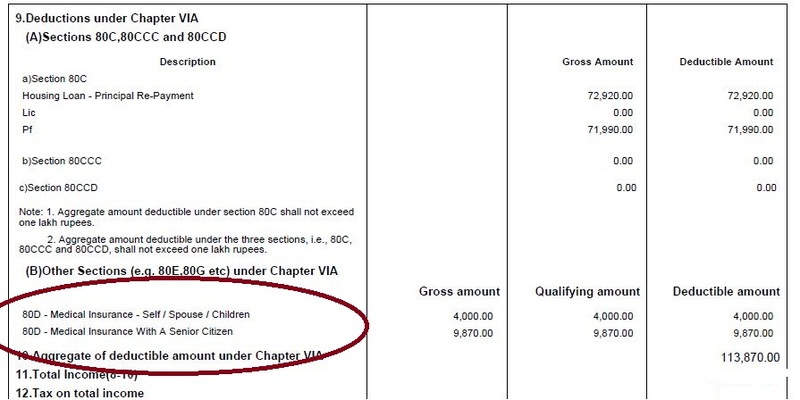 Can you explain, who are eligible to get benefit Rs.4000 under 17(2) & what document required. You may kindly go through this link..
My Father’s age is 68 and Pension is ₹3,90,000, 80C Deduction is 21600₹, Interests from Savings is 7500₹, Is IT is payable? Is there any other section in which i can claim something. Like Family Medicinal Exps, Father is having Retinetis Pigmentosa which is incurable disease though we haven’t obtained any governmental certificate for it but only private doctor’s prescribtion for this. The basic exemption limit is Rs 3 lakh for Senior citizens for FY 2018-19. Kindly go through the points given under ‘Section 80D – medical expenses for Senior citizens’ in the above article. for deciding income tax slab what is the as on date to determine age ? While considering the higher exemption limit of tax liability for senior and very senior citizens, a person will be considered to have attained a particular age on March 31 if his or her birthdate is a day later on April 1, the CBDT today said. You may kindly go through this article link..
Can son take exemption of stamp duty as Parents are retired and dont have any income other than family pension. 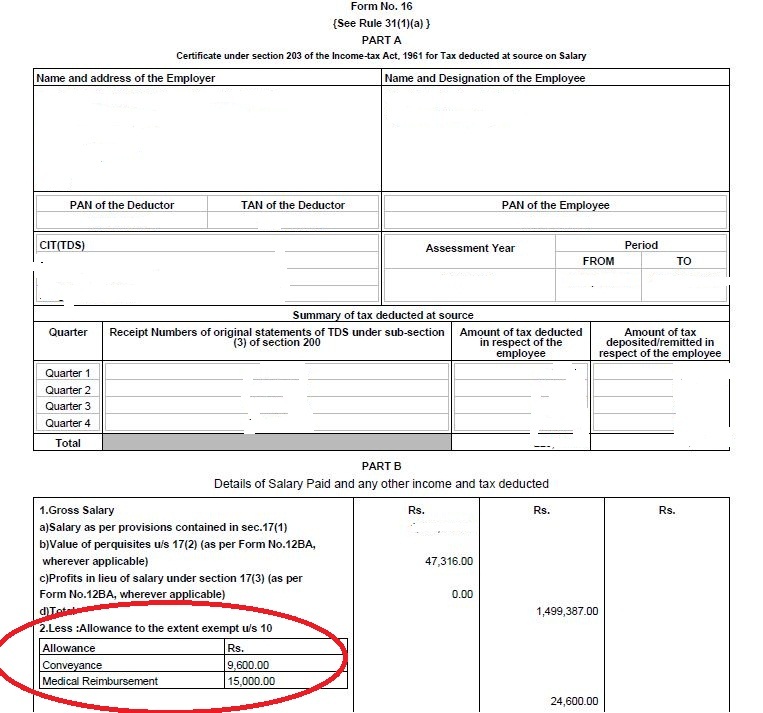 * Rs 40,000 Standard Deduction from FY 2018-19 | Does it really benefit the Salaried? CASH GIFT TAX LIMIT FOR ITR IS AVAIABLE ? You may kindly go through this article for more details on Gifts & Tax implications..
You need to calculate Capital Gains on sale of property and file your ITR accordingly. * AY 2018-19 Income Tax Return Filing | Which ITR Form should you file? There is some confusion over claiming 80EE, You mentioned that “The home loan should have been sanctioned during / after FY 2016-17.” But many financial advisors are saying that it is applicable to the ones, whose home loan was sanctioned only during FY 2016-17. not after that. Could you please confirm on this again. I am planning to buy home loan this year(August-2018) of 35L for 50L home, can I claim 80EE? Your are right and I stand corrected. Have updated the article now.. But such eligible home buyers can claim exemption of Rs. 50,000/- for interest on home loan under section 80EE from assessment year beginning from 1 st April 2017 and subsequent years. I was going thru online tax calculator and I found I need to pay ~3L for income tax 🙁 and its huge amount. can you pls help where I can invest more to save tax. Kindly do not pick investment products based on just tax saving. Suggest you to identify your financial goals, time-frame and then pick fin products. * Investment Planning – How to create a solid investment plan? * Why you should think beyond TAX when investing! bhai aapka mobile number do bat karni hai kuch samaj me nhi aa raha hai ki calculation kese kre LIC premium ka aur FD ka…!!!! Could you advise whether this 1.5Lakhs exemptions is a part of the initial slab of 0 to 2.5 Lakhs. Since my company calculated the 5% tax on the amount after deducting only the 1.5Lakhs 80C savings disclosed. I am unable to understand your query, kindly re-phrase it! Have you submitted investment proofs for Rs 1.5 Lakh? How many years do i need to complete for availing gratuity ? Do you have any site to understand gratuity act . After completing five years of continuous service with the same company, you are eligible to receive the gratuity benefit. Gratuity shall be payable to ‘you’ (employee) on the termination of your employment after rendering continuous service for not less than five years. On your Resignation (or) Termination. On death or Disablement due to accident or disease. 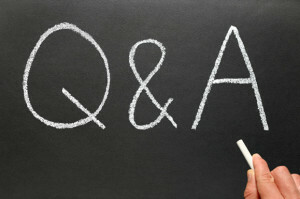 Kindly go through this article : FAQs on Gratuity Benefit.. I have taken home loan for my new property and the it is located in my native. My dependent parents are living there and i am not getting any income from the property. Also now i am living in diffrent location for my job and i have paid rent for house. Shall i claim both Housing Loan and HRA exemption ? If so, what are the documents i need to provide for getting the exeption? You can submit rent receipts and home loan statement to your employer. Can consider the property as self-occupied by parents. Yes, you can..but subject to the threshold limits as mentioned in the above article. My age is 67 yesrs. Investments in FDs made in FY 2018-19 can be eligible for Section 80TTB from AY 2019-20 (ie when you file your ITR). Up to Rs 50,000 banks wont deduct TDS. Kindly go through the mentioned article. I am facing some kind of problem, the problem is medical reimburse and conveyance expenses abolishes from tax exemption ? in place of these 40000/- will deduct ? please clear this concept i am not getting clearly . Dear Harinath ..You may kindly go through this article @ Rs 40,000 Standard Deduction from FY 2018-19 | Does it really benefit the Salaried? Dear srikanth, i bought a house few days back in april 2018 and it is my first house and rented it @ Rs 25000 per month. House cost is Rs 75 lacs and i have taken home loan of Rs 45 lacs with 15 yesr tenure and at 8.60% interest with EMI of Rs 45000. I am paying 3500 per month as maintenance charges to society and Rs 10000 annually as municipality tax. Could you please let me know the income tax benefit calculation for FY 2018-19.? Can i declare my Agricultural Losses under Income tax declarations..! so that i will get exempted for that amount..! Kindly read : Agricultural income & tax implications! Hello Shreekanth , Suppose a father runs his business and earns around 15 Lakh annually. (He will pay Taxes on 15 lakh). Now suppose he employ his Child into the business and pay him wages around Rs 3 lakh from his business and will show these as expenses in his business. In this way he can reduce his business profits by 3 lakh and can save taxes on that ! Question is can it be done ? Is 80TTB deduction for senior citizen only. I am 46 can I claim it. As for standard deduction do I have claim it through employer or I can calm it when filing taxes. Yes, 80TTB is applicable for Senior citizens only. Standard deduction is applicable for all Salaried individuals and pensioners. From AY 2019-20, the employers will automatically consider the standard deduction in Form-16s, accordingly you can file your taxes. Excellent article. It simplifies the complicated tax exemption system. i) the person who got house loan for renovation purpose , is this loan can be exempted along with interest ? if yes than what is the cap and under which section ? please clear me. 1 – Home loan taken for renovation of an existing house, after the issue of completion certificate or after the house has been occupied or let out, is not eligible under Section 80C. 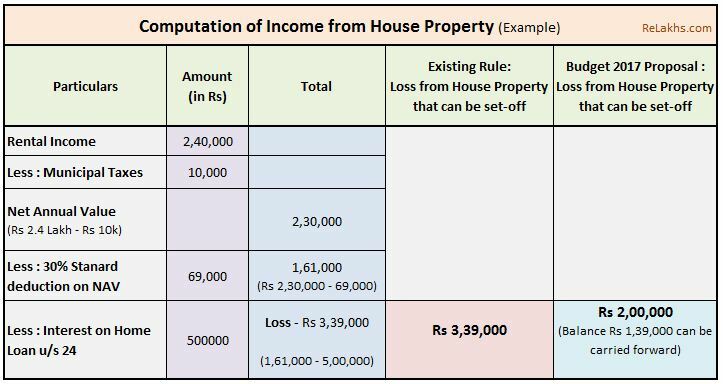 However, its interest component is eligible for deduction under Section 24(b) under the head of “income of house property” of up to Rs 30,0000. 2 – Yes, can claim principle amount u/s 80c to the extent of Rs 1.5 lakh and interest payment of Rs 2 Lakh u/s 24. The deduction which available for “Medical Expenditure” for very senior citizens is now made available for senior citizens also. Isn’t it? Are there any conditions for this, except that there shall be no health insurance for the person? Can the monthly medicine purchases be claimed under this? I have made the necessary corrections to the article. Thank you for pointing this out! The bill says ‘medical expenditure’, there is no clear cut definition on type of expenditures allowed. So, I believe that monthly medicine bills can be considered as medical expenditure. Is the 10000 deduction under 80TTA available for normal citizens this year ? The Standard deduction is in lieu of medical allowance, conveyance allowance etc.. This is not in lieu of section 80D tax deductions. 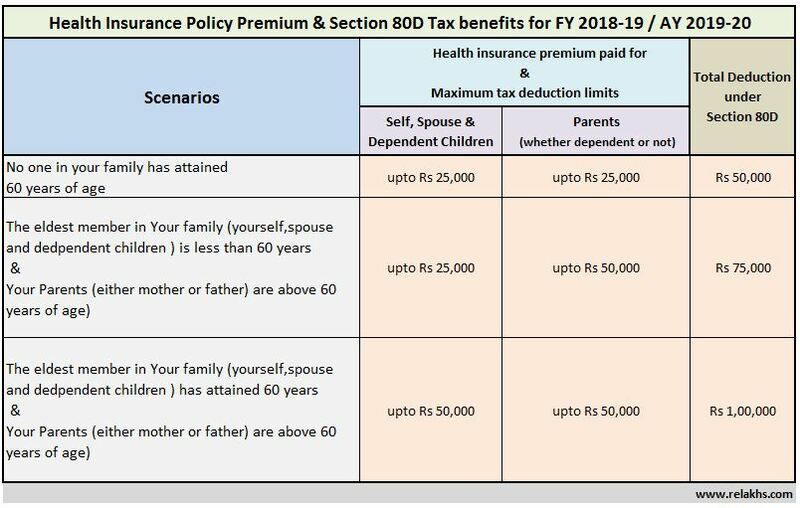 Besides Rs 40,000 standard deduction (for salaried/pensioners), Section 80D tax benefit is also available. If an individual claims tax deduction u/s 80TTB then 80TTA wont be available for them. Else, 80TTA is available for all individuals. What are the interest income qualified to claim exception under Section 80TTB? 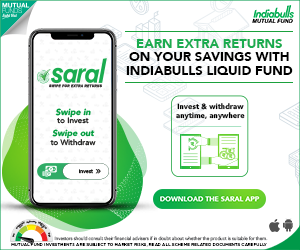 Interest income from SCSS, PMVVY, Corporate deposits are eligible? I believe that the Interest income earned on Fixed Deposits & Recurring Deposits (Banks / Post office schemes) only are qualified for the tax deduction u/s 80TTB. Interest income from deposits held with companies will not benefit under this section. This means, senior citizens will not get this benefit for interest income from corporate fixed deposits.